Beyond Traditional Cleaning Services - Medical Office Cleaning | All Building Cleaning Corp. Beyond Traditional Cleaning Services - Medical Office Cleaning | All Building Cleaning Corp. Regulations for medical office cleaning in Miami, as well as the rest of the country, are far stricter than cleaning other facilities. After all, you’re not just cleaning for appearance— healthcare surface disinfection is critical to the safety and well being of patients. With that in mind, you must hire healthcare cleaning services in Miami that meet the requirements of OSHA, HIPPA, EPA, CDC, and AORN. These regulations change often, so you need to stay on top of the latest guidelines. 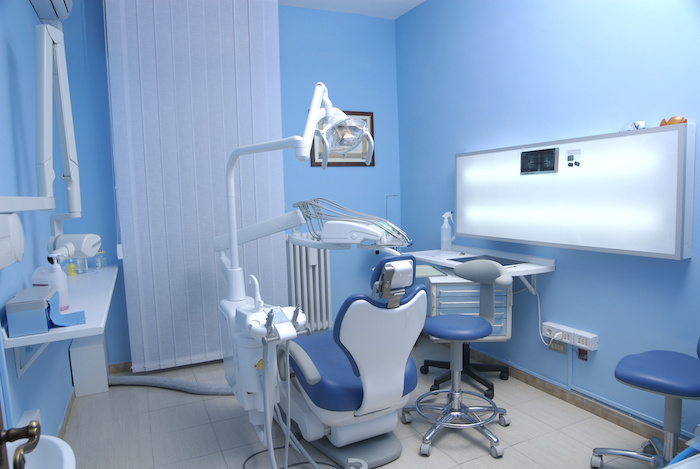 Why Hire Professionals for Medical Office Cleaning in Miami? Any commercial office building requires a higher level of cleaning than a standard in-house solution can provide. There are so many different general tasks that must be addressed, such as emptying trash, dusting, restroom cleaning & sanitation, vacuuming, general office cleaning & maintenance, floor sweeping & mopping, and window cleaning. However, a medical or healthcare facility requires an additional level of disinfection. This will help your facility meet the regulatory expectations of various agencies and ensure that patients and staff alike are safe from disease. With that in mind, you should consider hiring a Miami healthcare cleaning services company that will not only meet your high standards but also those of the medical industry. Beyond presenting a health hazard, a dirty office is a less-than-stellar reflection of your business’ image. Dirty rugs or dusty surfaces are just as off-putting to customers as a filthy toilet or unkempt bathroom. The impression your patients and their friends and family have when they leave should be one of confidence in your facility’s ability to care for them. A clean facility gives people that peace of mind, increasing the likelihood that they will entrust you with their care. Keep that in mind as you search for medical office cleaning in Miami— you need experienced professionals who are specially trained to keep your facility sparkling. Of course, you know that dirty floors are bad for patients. But did you know that they also pose a risk to the health of employees? Floors that spread diseases to employees lead to an increase in the amount of sick days. You can decrease the amount of sick days and loss of productivity by insuring your floors are properly cleaned and disinfected. The doors in any office are among the most touched items in the workplace. Whenever anyone comes in or out of a doorway, it makes it even more likely that germs will be passed to the doorknob. With this in mind, it’s important to keep doors clean and disinfected to minimize the spread of disease. Darker colored doors may not show dirt as easily, but dirt and disease are still there. Simply wiping doorknobs frequently with a disinfectant and microfiber cloth can stop the spread of disease. In addition to floors and doors, it is important to keep all surfaces clean. Countertops, cabinets, desks, sinks, and even computer equipment can all be hosts to disease. Not only do dirty surfaces look unprofessional, but they can also contribute to airborne pathogens. By keeping surfaces clean, the overall air quality is improved and diseases are reduced. Remember, you’re not just trying to keep your patients from getting sick— sick employees can have a negative impact on your business’s bottom line! Windows say a lot about a business. Dirty windows can give the same negative impression that a dirty carpet or dusty surface can give. Many commercial cleaning services do not address the windows in your building. With this in mind, consider finding a service that provides window cleaning, both exterior and interior. You should look for a service that properly trains their cleaning team to be courteous and quiet so that your employees are not distracted by the window cleaning process. Your medical facility looks its best when seen through bright clean windows. In addition to skipping the windows, many traditional cleaning services do not offer to restock various bathroom supplies. You can save time and money by hiring a cleaning service that can restock these items without the headache of dealing with additional vendors. Most importantly, traditional cleaning services do not have the same level of knowledge that experienced healthcare cleaning services in Miami have— a traditional cleaner will find it challenging to meet the very specific needs of a medical or healthcare facility. company whose staff is knowledgeable, well-trained, friendly, responsive, and dependable. To find out more about the expert services of All Building Cleaning Corp, please call (305) 596-6485 or visit our website to request a quote. We’re proud to offer competitive pricing and fast response times and we will meet face to face to find out what is important to you.